How do you bring rhinos back from the brink of extinction? One rhino at a time. 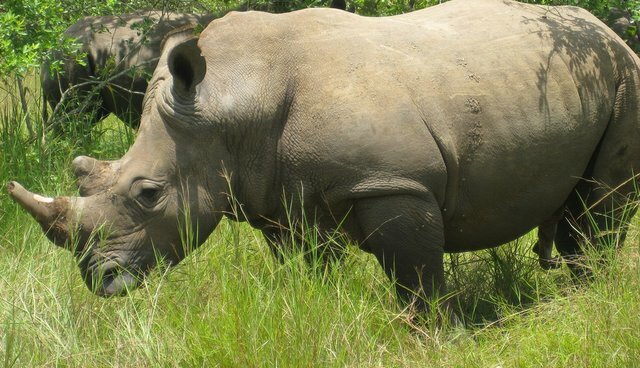 In Uganda, rhinos were decimated in the early eighties, but thanks to the efforts initiated by the World Bank and Rhino Fund Uganda, they're making a slow comeback. In the non-profit Zhiwa Rhino Sanctuary, there are 7,000 hectares (approx. 17,000 acres) of savannah and woodlands. It is here the first rhinos were re-introduced. From a couple of rhino, there are now fifteen. 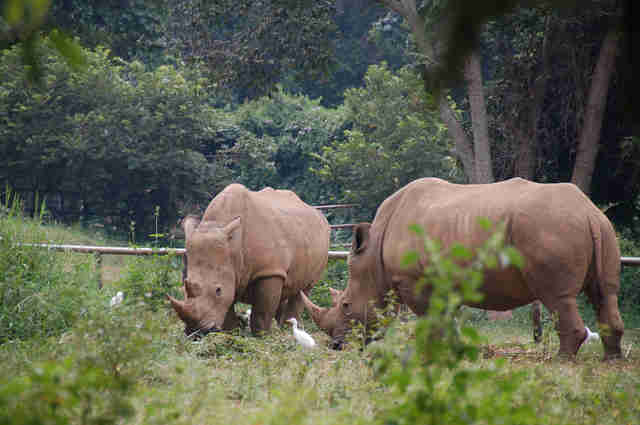 Wilhelm Moeller of the Wildlife Conservation Entebbe Center said Ugandans were welcoming the rhinos as a symbol of the recent stability and reconstruction of their country after almost 30 years of conflict. Moeller said "This is probably the last hope for the rhino in Uganda. If we don't get this right I can't see it getting another chance here for 50 years, probably never." The rhino are currently under constant surveillance. Rangers tasked with protecting the area have been given the go-ahead to shoot anyone attempting to poach. So far, they have had no incidences. Once the program reaches a minimum of 20 animals, with ideally a five-to-one ratio between cows and bulls, they will be re-introduced into the wild.